Lone Star Watchdog: Is North Dakota Seceding From the Union a Hoax? Is North Dakota Seceding From the Union a Hoax? When we hear of the word secession, we think of the South before the war of northern aggression. If you read your history correct. Wisconsin was the first seceded from the union, not South Carolina. 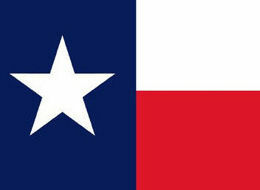 Texas has been talking secession more now then ever since Clinton became President back in 1993. The move of secession seems like one of the options states are looking at as a solution to the heavy hand of Washington DC. Right now it is rumored and I do not know if it is true of not. I am basing this blog on a few stories spreading online. It has been reported that North Dakota was never a legitimate state admitted into the union properly. An 82-year-old man who has been telling his state legislators that North Dakota is not a state. He claimed to have found a flaw in the state's Constitution. So does this mean North Dakota will secede? With this corrupt President and a cowardly congress, anything is possible. It has been reported now the North Dakota State Legislature has voted to secede from the union on April 24, 2012 I looked at the State legislature Website. The State House and Senate does not convene until 2013. However, a rumor might be a hoax saying until the US government recognizes North Dakota as a sovereign nation. If that is true, do not hold your breathe because Russia will recognize North Dakota before Washington would. Besides the Military commissions act and the John Warner Defense Authorization Bill would have sent US troops to the capital to put down the rebellion if it were true. Besides, we would have heard from Russell Means of the Lakota movement who declared independence from the United States. Russia, but not the US Government recognizes the Lakota nation. It has been rumored Ohio is not legally a state and Texas was never admitte3d to the Union because the Annexation Treaty was never ratified. Texas already seceded twice before from Mexico and The United State before. It would be nice if North Dakota secedes. They have a state bank that serves the public and not private interest for profit. Their economy is unscathed by the national economy. I hope if North Dakota really does secede. I hope other states can start talking about it also and fallow North Dakota's lead… I know if Texas, Montana, Oklahoma are the first to secede. There will be a chain reaction through other states. I do not know if it is true or not that North Dakota secedes. I do not believe everything Benjamin Fulford says. I just take it with a grain of salt, as time goes by. If it is truth, it will survive the light of day. As far as I have heard doing some research, North Dakota is still in the union.